Be bold and do something before next winter comes around. Amy Spurway is a writer and her husband Matthew is an community outreach assistant for their MP. 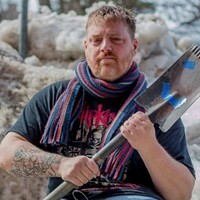 They live in Dartmouth with their three children and when they're not working or playing with their kids, they are daydreaming about a truly accessible city while smashing ice off the sidewalks in their neighbourhood. Oh, Februshitty. Look what you’ve done to our fair city with your piles of snow and sheets of ice. Tensions run high as we mumble about beet juice and quibble over public versus private snow removal services. And so far, March isn’t cutting us much slack either. With crews working around the clock to dig us out of our weather woes, one thing has been missing. Something of critical importance. An apology from our mayor and city council. A real, honest to goodness, full-fledged, four-part apology. Not for the weather, of course, but for the mistakes our city’s leadership has made in how they’ve responded. Those mistakes need to be acknowledged, the harm cause by those mistakes needs to be acknowledged, commitments must be made to mitigate the damage caused in the short-term and commitments must be made to do better next time. A good apology and a good plan would go a long way to making things better, even as the snow and ice continue. Here’s a draft speech the mayor might give if he were so inclined. Maybe in a press conference, a sort of direct heart-to-heart with the people he serves just to let them know that he really hears—and fully understands—our concerns and perspectives. For impact, we suggest he deliver it surrounded by the sixteen councillors that were elected with him to manage the affairs of our city. “Citizens of Halifax, I come before you today to apologize. As mayor and council, we designed a snow-removal plan that works fairly well under normal winter conditions. It was designed with fair service standards and an eye on the bottom line. But in the aftermath of the flash-freeze storms we’ve had since the beginning of February, our plan has failed. 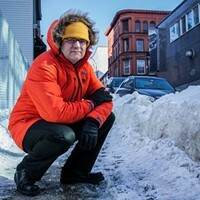 “Let me make it clear that the failure was not on the part of the snow removal crews, municipal staff, or the incredible 311 operators, all of whom have been working extremely hard these past couple of months. “The simple fact is, we did not anticipate the unique weather we’ve experienced, nor could we adjust our strategy fast enough when it became clear the plan wasn’t working. Like I said, the plan works well for snow. Ice? Not so much. “As a result, the streets and sidewalks of our great municipality have been in terrible condition, the consequences of which should not be understated. Beyond the inconvenience, stress and delays for anyone driving around town, our poorly cleared streets damage vehicles. Businesses suffer too, when there is no place for their customers to park. “Although we still have many residential streets with ice holes and ruts that are very difficult to navigate, most of our roads have gotten better. The graders we are using to remove ice-pack from streets are expensive and slow, but they are working. 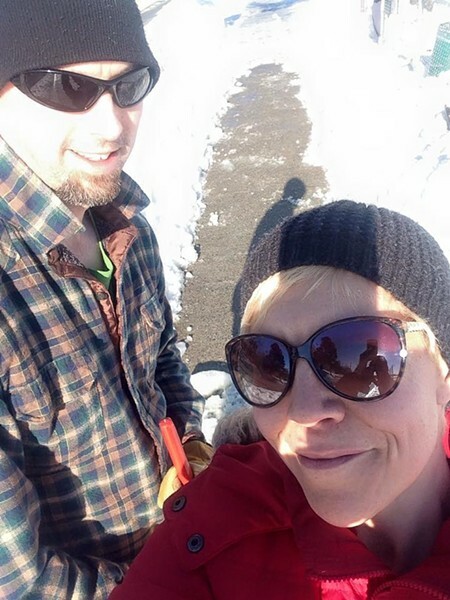 Sunshine, salt, and clear storm drains worked together to clear some of the ice naturally as well. 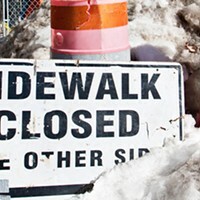 “When it comes to our sidewalks, however, our failure is persistent. For many of our fellow citizens walking is the only option, yet most of our sidewalks are not clear. People with mobility challenges are especially hard-hit, and are virtually immobilized by these conditions. Whether it is a trip to work or school, to buy food or see a doctor or just visit a friend, it is not acceptable that so many people are effectively cut-off from the outside world for so long. “There is a cost for this failure and it is hard to calculate. It includes the value of lost business and lost productivity; of missed appointments, shifts at work and classes in school and the social cost of isolation. It also includes the cost of injury, not just to our healthcare system, but to the people who get hurt. For example, when a student at NSCC gets a concussion and misses weeks of class only to be left with symptoms that may never go away, the price she pays is immense. “We can do more to make our city walkable again, and starting today, we will. Project Safe Step has two components. 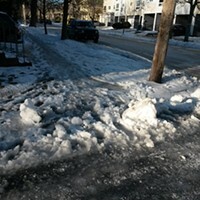 The first is an aggressive plan to remove sidewalk ice by hand. This includes cutting tools, jack-hammers, pry bars, shovels and boots on the ground. We will prioritize school zones, steep hills and main routes. Inspired by Paul Vienneau and others, we will also organize and support volunteer crews of citizens who are willing to help out. “With hundreds of kilometres of icy sidewalks, we know we can’t do this everywhere. That’s why the second part of Project Safe Step is to generously coat sidewalks with traction sand or crusher dust on a regular basis. Priority one streets, for example, will get treated every 24 to 48 hours, as needed. “This will cost the municipality money of course, but the price of inaction is too much for citizens to bear. “Finally, we commit to spend the time between now and next winter to develop flexible snow clearing plans so we can react to conditions as they develop, including a better strategy for ice-clearing. We will work with contractors to make sure they have the resources and direction required to keep our city as safe as possible if and when we are faced with this kind of weather in the future. “I have one more apology to make before I’m done here today. I need to apologize for the way I’ve responded to criticism thus far. Last month on the radio I told Sheldon MacLeod that the suggestion I wasn’t showing enough leadership was “just stupid.” In my interview with Steve Murphy, I came across as defensive and flippant. And many of us on council have responded to individual complaints by saying things like “Yeah, there’s ice everywhere,” “I’ve received hundreds of calls and emails” or “We can’t do anything about it.” Frankly, sometimes we may have sounded like we are the victims. Of course, we are not. “I’m sorry if we haven’t always responded to your complaints with the compassion and sensitivity that you deserve. You were right to complain, and we were wrong to act like nothing more can be done. It can, and starting right now, it will. Extraordinary circumstances call for extraordinary measures. Somewhere in all the snow and sleet and ice there lies the potential for this city to come together, be creative, and dig ourselves out from this mess. Our mayor and city council can lead the way. 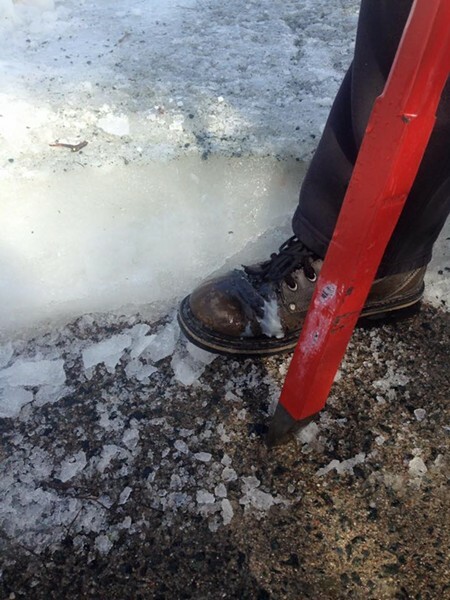 Is it time we traded our Blundstones for ice cleats, or can Halifax face its icy walkability problem head-on? The trouble with two wheels in the snowy city. The hero we deserved this winter. A beginner’s guide for making Halifax a better place to walk. Taking to the streets to protest inaccessibility.